Legal problems aren't something you can solve through a narrow from. You need the whole picture. I practice six different areas of the law so there isn't much that I can't do for you. Because the law can be so complex, it rarely serves someone to know just one aspect of it because they all overlap. I can explain to you how different types of laws affect each other and your case. When you work with me, you're never passed through a receptionist or paralegal. When someone faces a legal problem, they want an attorney who represents a caring presence in their life. They want someone who will tell them the truth and who will help them get through a difficult time. When you hire me you, you get a caring, calming presence at a difficult time. The most important thing your attorney can do is tell you the truth. I will never sugarcoat a case just to make a quick buck at your expense. If there is truly no chance of your case winning, then I will tell you that from the start. You will always get the truth from me, even if it is a hard truth you might not want to hear. I have been an attorney since 1999, but I have also been an options trader and a business owner in the past. In addition to being licensed to practice law, I am a licensed real estate broker and a former licensed Series 6 & 63 representative with FINRA. We are grateful to have the Biondi Law Firm personally take care of our UNIQUE situation. The excellent communication made every detail request simple for us to understand. 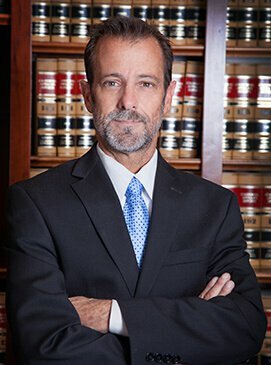 From start to finish, Glen Biondi worked fast and hard to get our filing completed which stopped the Wage Garnishment and gave us peace of mind. We are truly thankful! If you want to be able to decide what happens to your assets after you die, you need an estate plan. Buying and selling real estate is among the most important transactions most people will ever make. Guarantee it’s done right. When you have to deal with a commercial legal matter, you need an attorney on your side who can guide you through the process. Put an end to harassing phone calls and letters. Find out if you qualify for a fresh start through bankruptcy. Personal injury cases can be devastating for the victim and the family and they are highly complex. I can help you make the best of things. When you are faced with a legal matter that is non-criminal in nature, it is important to make sure your rights are protected through competent legal representation. Being an attorney is about more than just practicing the law. You need to be willing to listen. Taking care of your clients is just as much about action as it is about hearing them out. I realize that clients need an attorney who will listen to them and hear exactly what they have to say. Clients need an attorney who can give them a realistic assessment of their situation. If they have no case, or there is no way to win, I feel that they need to understand that. He will never sugarcoat a case just to be paid. I have plenty of tissues and will listen to everything you have to say, but I’ll tell you the truth because that’s what is most important. I take into account opportunity cost and your business's direction to make good decisions. When you hire me, I will give you everything I have. I will communicate with you every step of the way to make sure you understand the process and what to expect. Although most cases settle before going to court, I will represent you as aggressively as possible if yours isn’t. You deserve the best possible outcome.